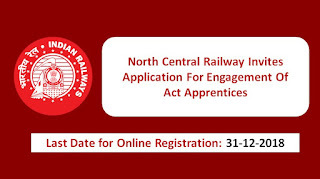 North Central Railway announced online notification for Act Apprentice training under Apprentice Act, 1961 for the year 2018-2019 from candidates fulfilling the conditions mentioned in the official notification of North Central Railway. 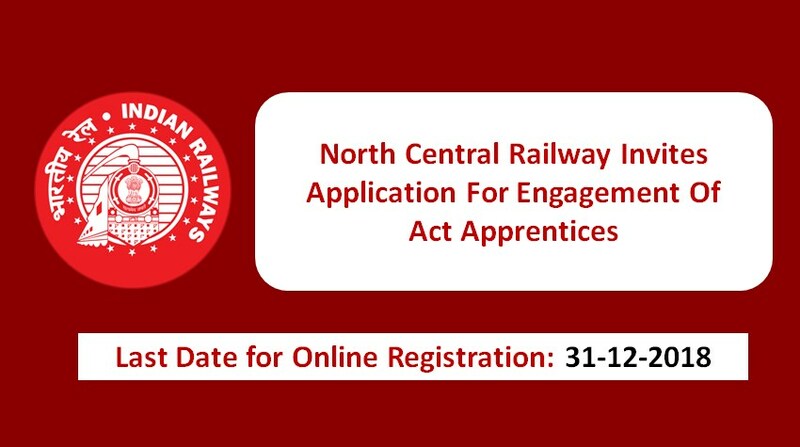 Eligibility & Qualification: 10th Pass/12th Pass with 50% Marks and ITI pass certificate in related trade. Age Criteria: Candidates: Should not have completed 24 years of age as on 30th Nov 2018. Stipend: As per railway instructions. How to Apply: Read official notification carefully.